Firebird-the imprint-is dedicated to publishing the best fantasy and science fiction for teenage and adult readers. Firebirds is an equally special anthology. Its sixteen original stories showcase some of the genre's most admired authors, including multiple award-winners Diana Wynne Jones, Garth Nix, Lloyd Alexander, Nancy Farmer, Meredith Ann Pierce, and Patricia A. McKillip. Here you will find a sparkling range of writing, from dark humor to high sword and sorcery to traditional ballads-something for every sort of reader. Finally, to make this anthology even more of a standout, it appears first as a deluxe, jacketed hardcover. 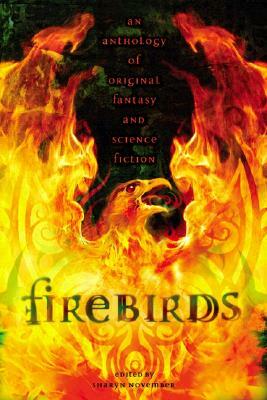 Welcome to Firebirds-a must-have for fans of contemporary speculative fiction.